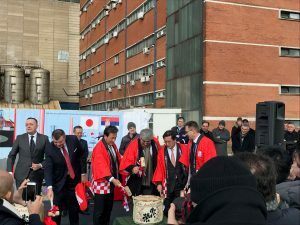 On 13 February 2019 in Obrenovac, the ground-breaking ceremony took place for one of the world’s largest flue gas desulphurisation plants (FGD) – for the thermal power plant Nikola Tesla A Obrenovac (TENT A). Thanks to the FGD system from the Japanese MHPS Group, sulphur dioxide and particulate emissions will be reduced ninefold in the future. This measure represents a significant contribution to the fulfilment of EU environmental standards in Serbia and serves as support for future EU accession efforts. 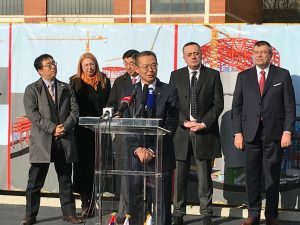 Furthermore, 60 percent of the MHPS Group’s construction work will be awarded to domestic companies, further strengthening economic cooperation between Serbia and Japan. The total investment envisaged in the contract amounts to around 167 million euros and comprises the construction of a flue gas desulphurisation plant for the four TENT A blocks A3, A4, A5 and A6, each with an output of 350 megawatts. The FGD system will prolong the operation of the power plant for at least another 20 years. The construction of the plant will take 42 months. The guests of honour at the ceremony were the Minister for Mines and Energy, Aleksandar Antić, the Japanese Ambassador to Serbia, Junichi Maruyama, the Deputy Director of the Serbian energy company Elektroprivreda Srbije (EPS), Milorad Grcic, the Director General for Middle East and Europe of the Japanese Agency for International Cooperation (JICA), Takema Sakamoto, and the Vice President of Mitsubishi Hitachi Power Systems (MHPS), Takanori Nakamoto. ACTIV Project Management GmbH is responsible for project management in conjunction with the cooperation partners Mitsubishi Hitachi Power Systems, Ltd. (MHPS) and its Duisburg-based subsidiary, Mitsubishi Hitachi Power Systems Europe GmbH (MHPSE). We see ourselves as a company with a regional and supraregional responsibility. Every year, in line with this guiding principle, we support projects in the fields of education, culture and sport as a sponsor and patron. We would now like to use the new year as an opportunity to highlight two projects that posted remarkable successes in 2018. The bilateral OeAD Summer School is held every year in Bovec in Slovenia under the leadership of university professor Prof. Dr. Vladimir Wakounig from the University of Klagenfurt. Participants from Austria, Italy, Croatia and Slovenia learn the languages that give the people in this multilingual region a local affinity and a linguistic and cultural identity. 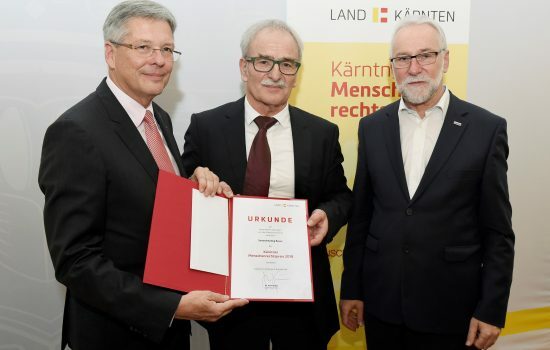 Bovec Summer School is a peace project that celebrated its 25-year anniversary in 2018 and has now been presented with the human rights prize of the province of Carinthia. Nineteen-year-old Janja Garnbret is a Slovenian sport climber who began her career at the age of 14 and had her first successes at various youth championships early on. In 2016 and 2017, she dominated the competitions of the International Federation of Sport Climbing. At the World Cups, Garnbret came in the first three 18 times; and of these, she came first twelve times alone and came first in the overall rankings twice in succession. In September 2018, she became world champion in bouldering and combined. She was also voted Sportswoman of the Year in Slovenia in mid-December 2018. 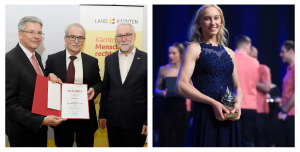 The outstanding performances of the University of Klagenfurt and of the sport climber Janja Garnbret fill us as a sponsor with great pride and at the same time are an incentive for us for further pioneering projects. We congratulate both winners and wish them much continued success. From 5 until 8 November 2018, the Society of Thermal Engineers of Serbia together with the Serbian energy supply company (EPS) organised the conference POWER PLANTS 2018 in the Zlatibor mountains. 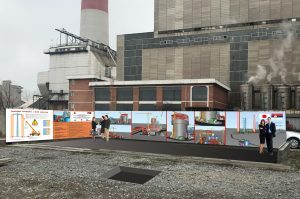 The international event focused on the current need to bring power plant systems in Serbia up to a level that from an ecological perspective approaches a level accepted by the industrial countries of the European Union. On the one hand, environmental problems were pointed out and on the other, technologies to reduce SOx, NOx, PM and CO2 emissions addressed. The numerous participants included university professors, experts from the public sector and private companies. A series of talks and presentations were offered during the conference. Representatives of the large corporation Mitsubishi Hitachi Power Systems (MHPS) and its subsidiary Mitsubishi Hitachi Power Systems Europe (MHPSE) gave two talks at the conference. 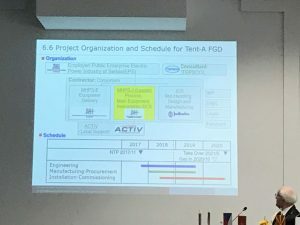 In its talk entitled State-of-the-Art MHPS AQCS Technologies (FGD, ESP, SCR), MHPS concentrated on the control systems for air quality, whereas in its presentation entitled Benefits from power and energy solution business (PESB) MHPSE addressed the benefits of the electricity and energy business. 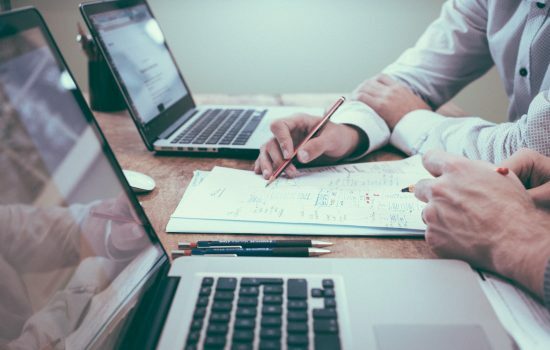 In both talks, the company ACTIV Project Management was positively accentuated as a competent and reliable partner for international project management. This recognition is attributable to the successful support from the cooperation partners on the south-eastern European market and on the flue gas desulphurisation (FGD) project in the thermal power plant TENT Obrenovac A3-A6. 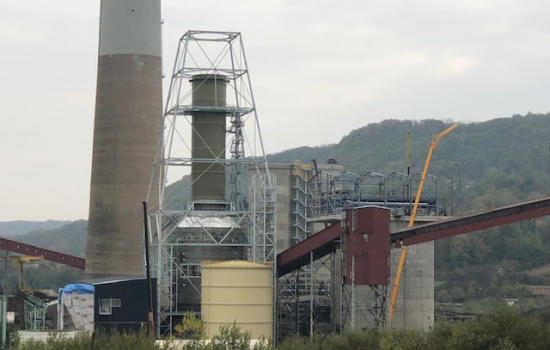 The construction work on the flue gas desulphurisation project (FGD) in the thermal power plant at Ugljevik in the Republic of Srpska, Bosnia and Herzegovina continues to make good progress. Up to now, more than 70 per cent of the construction work has been completed. The procurement of the equipment is also already well underway. If everything continues to go as planned, it is anticipated that the plant will commence trial operation in the middle of 2019. With the completion of the flue gas desulphurisation plant, the emission of sulphur dioxide will be reduced by more than eightyfold, down to 200 milligrams per cubic metre, which corresponds to the strictest European standards. Secondly, the emission of suspended matter from the chimney will be reduced eightfold through the use of new electric filters. As a result of this pioneering plant, reliable electricity generation and climate-friendly coal-based power generation will be ensured in future in the Republic of Srpska, Bosnia and Herzegovina. In addition, the project will help to improve the environmental situation in this region. 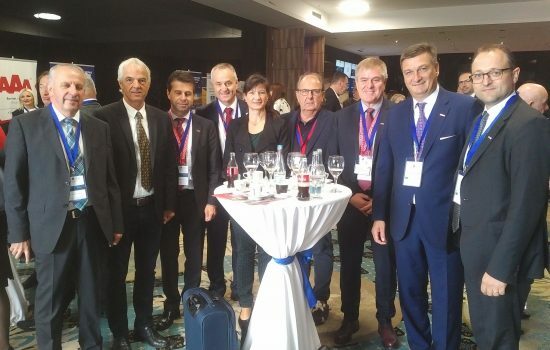 The third international business conference “Canton Sarajevo 2018” organised by the Ministry of Economics of the Canton of Sarajevo was held on 25 and 26 September 2018. The event, which was attended by high-calibre figures, was opened, among others, by Valentin Inzko, High Representative for Bosnia and Herzegovina and he welcomed around 400 participants. On behalf of ACTIV Project Management, the company’s managing director Benjamin Wakounig was on site and conducted bilateral discussions with various companies in order to expand the company’s network in the areas of project management and energy solutions. With the continuous expansion of our international network, we are opening new doors for our partners and creating new business perspectives for them in south-eastern Europe. Stronger together! 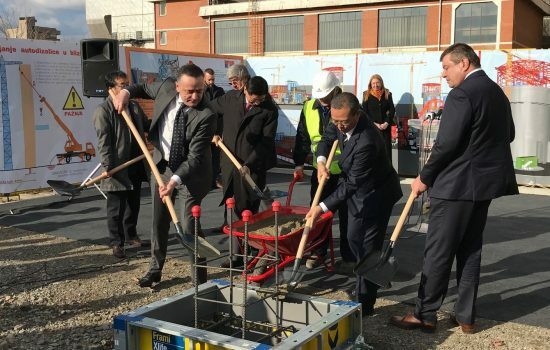 ACTIV Project Management and its longstanding partner MHPS Japan have pooled their resources and opened a joint office in Belgrade. With the establishment of the new liaison office which was opened at the start of June, in particular the commitment in Serbia is to be consolidated further, new fields of business opened up and existing customers in the region supported even more intensively in the future. 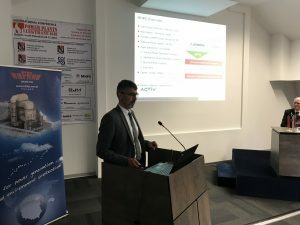 The office will be headed up by ACTIV team member Ivan Baković, Director of the representation in Serbia, and supported by a strong team comprising ACTIV and MHPS experts from the areas of project management and thermal power plants. 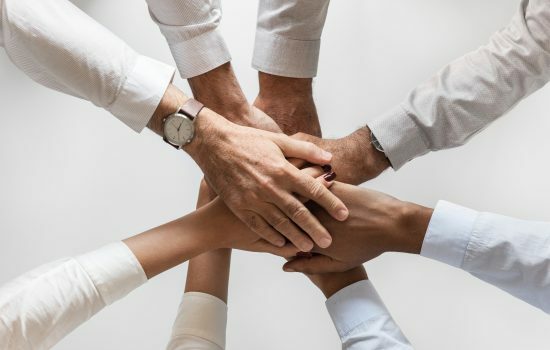 The strategic association between ACTIV and the large Japanese corporation combines the strengths of both companies, consolidates the global presence and facilitates an ideal adjustment to continually changing challenges of global and local customers.